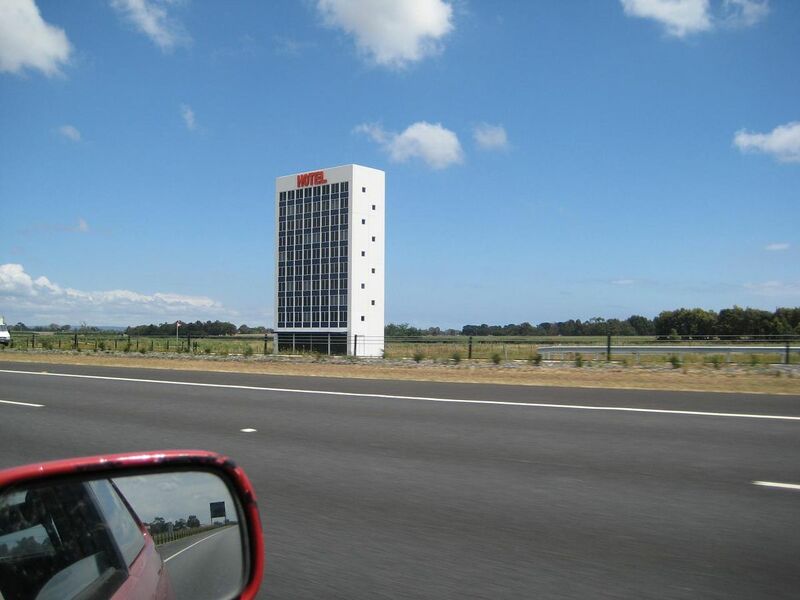 HOTEL is a large scale model of a high rise hotel, yes it is art. 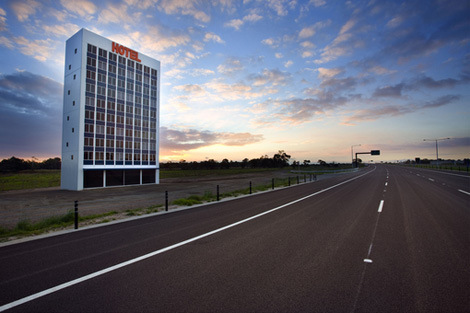 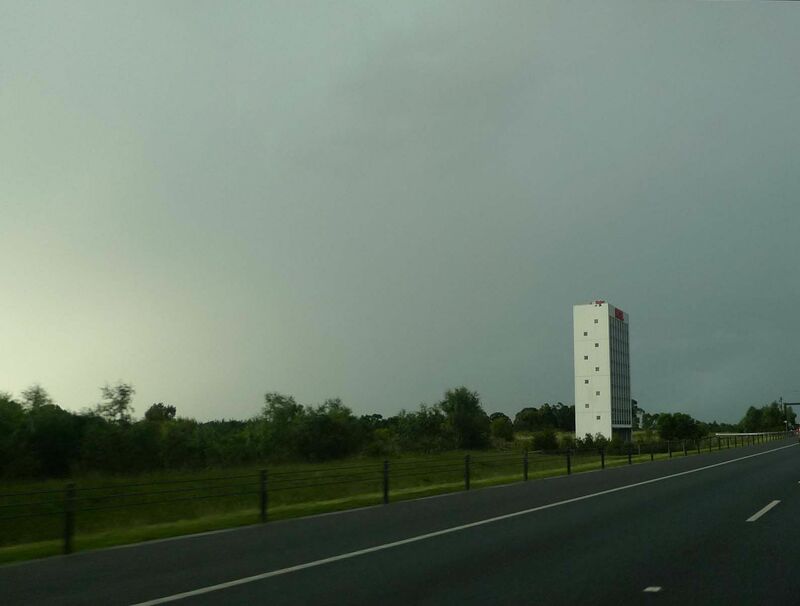 HOTEL is situated on the Eastlink motorway outside of Melbourne, Victoria, Australia. 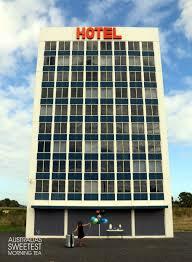 It is not a real hotel, neither is this web site.